I was taught that the Bible was mostly about me as I was growing up. It wasn't as direct as I make it sound and I am sure that you were taught the same way. Every story that we read, went through in Sunday school, or heard from the pulpit was about our moral application of said story. We needed to have the faith of Joseph or the patience of Job. Here are five steps to being an awesome believer like so and so. Emulate the guys in the hall of faith. Get to work being a better believer. Then, I started wondering if God had written the hall of faith in Hebrews to simply say, "Hey, look what I did with these jokers." I wondered if Job wasn't about Job at all. Perhaps it was about the God who sustained him. Perhaps, it preached the gospel to us. 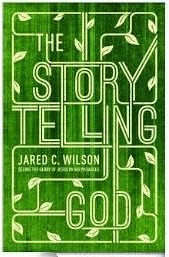 As I began reading Jared's book The Storytelling God, he emulated my thoughts. The first lines really captured my attention. He tells the reader to throw out our flannelboards because the Bible isn't a book about our morals or how we should be acting. 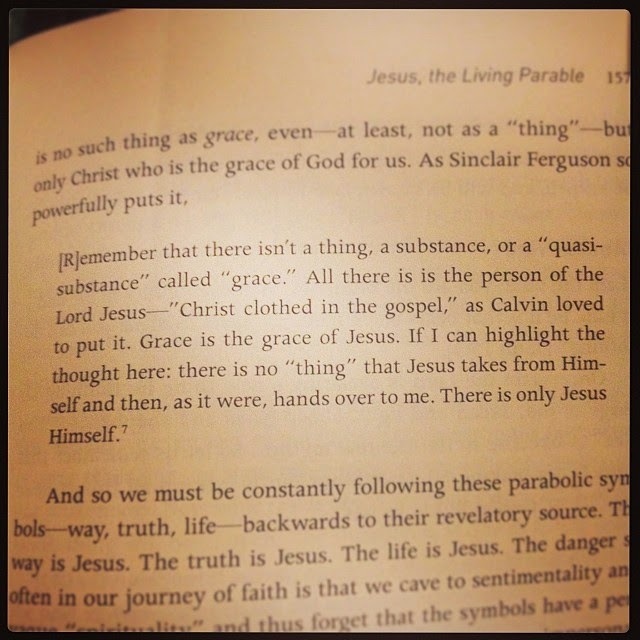 The entire Bible is about the redeeming power of Jesus Christ. Isn't that refreshing. Isn't that powerful. He, the Lord Jesus, isn't wanting us to be tripped up by our own effort. He is calling us to think on Him...to rest in Him. I loved this book. I loved it more than I can convey to you. It is one of the most brilliant and well written books that I have ever read. I loved it because it reminded my heart of Jesus and his finished work. I loved it because it truly preached the gospel to me on every single page. This is a must read. It's about the Lord Jesus Christ. Discarding the notion that Christ’s parables are nothing more than moralistic fables, this book highlights how each one is designed to drive us to Jesus in awe, need, faith, and worship."